June is already half over with. How time flies. I know I should probably only pick like a top 5 or 10 songs, but that’s just not my style, lol. That being said, I’m really trying to get more selective. The only songs on the list are songs I want to talk about and really enjoy. Other songs that I liked but really had nothing to say about are getting booted. May saw the beginning of a heavy late spring early summer comebacks of established and popular idols. So…I actually have more idols on the playlist than I’ve had in awhile. But…they don’t dominate the list at all. My top song of May? Jung Joon Young’s collaboration with Younha—”Just the Way You Are” [달리 함께]. Let’s admit it, there are tons of duets out there which really aren’t that good. The chemistry between the singers just isn’t all that good and some voices just don’t blend well. You also have duets where one partner completely out powers the vocals of the other make the duet fall flat. This is NOT the case with this song. Joon Young’s more unique voice in the kpop world goes very well with Younha’s vocals. The piano and guitar are also in great harmony. To go with the great singing and playing, we get an awesome MV that makes you angry at the parents for not letting their kids be…kids. This came out at the end of the month, but it really stole my heart and ejected the number one song that had been in first place for a long time. My top idol song? Even with my favorite group Infinite making a comeback this month, they just couldn’t compete with VIXX’s “Eternity” [기적] for me. I’m not quite sure just WHY that is. Another strong concept for VIXX who are like the king of concepts in the idol world, I swear. I like how the song is a bit different from the other idol fare dominating at the moment. Slowly, but surely, Ravi’s rapping is growing more and more on me. I’m not sure I’ll ever completely like it, but I don’t dislike it as much as I did when they first debuted and that’s not saying he’s a bad rapper. It’s just his voice. People have preferences and his voice kind of grates on my hears for whatever reasons. That’s not to say he isn’t talented, because we know he is very much so. My top rock song? Oddly enough, not girugamesh’s release [which also technically isn’t a new song…]. I recently discovered the Taiwanese(?) band io and completely fell in love with one of their older songs. It’s from 2011, but since I just discovered this awesome band, it’s totally new to me. The song is “You Don’t Know” and even with the highly repetitive “bu zhidao” it just takes hold and it wouldn’t let me go. This song trumped WEAVER’s latest Japanese release and was only kicked out of the number one spot after the release of “Just the Way You Are” and “Eternity”. I am definitely looking forward to hearing more from io. Following up is a new release by io this year “2ø14 One Less You” [2ø14 少了一個你] which is a concept single for their concert…or something like that. This song is very different from the previous song that I discovered. It’s got more of a pop sound to it, but it’s really addictive and I can sing along with it…well, the English parts anyways, lol. Ah, this song also features rap in it. Such is the trend. But it’s a good combination with the funkier pop sound and the rap. Thanks to the April ferry sinking, lots of comebacks were delayed. One of them was Standing Egg’s new mini album 36.5. Every song from the album makes it in my May playlist. Standing Egg just really is a great group. They have their stripped down, mellow acoustic sounds, but then they do other genres just as well. My top song of theirs is the song 빛이 속삭여. There is something haunting about the song and the repetitiveness of the word “Whisper” over and over again. I think this is the last album I bought before financial difficulties forced me to put an end to buying anything non-essential for the next few months. WEAVER has a new release! It was released on June 11. They posted the MV last month, though. Given the MV, it looks like it’s part of an OST. If it is, I totally want to watch whatever movie or drama it is for. I love WEAVER. Yes, I do. This is a great ballad from them. I don’t think there’s a song of WEAVER’s that I don’t like and I really love the strong piano sound which does set them apart from the majority of bands. The song’s title is 「こっちを向いてよ」I don’t know the direct translation of the song’s title. I just discovered Korean band Bluepaprika in May. Their song “Longest Night” [긴긴밤] has a slow and mellow start and it picks up in the chorus with the repetition of “ginginbam-ui” and I just found this song infectious. I can’t quite put my finger on why. Is it the mellow vocals? The beautiful guitar melody? Everything just works. The video…well, nothing’s perfect. I suppose it is appropriate to talk about a long night with lots of highway night scenes. Not any amazing video for this song, but the song doesn’t need an awesome video as it is an awesome song. I’m definitely going to be looking for more from this band in the future. I’ve been in love with Japanese band girugamesh for a long time now. I own practically all of their albums (available in the US iTunes store that is, which probably isn’t every album they’ve ever produced]. They aren’t releasing a new CD, but a Best Album. girugamesh has a fine line between really hard rock and more of a normal rock level. When it rains…I listen to girugamesh. They can really brighten a rainy day. With Satoshi’s voice, I always know when girugamesh is playing. “evolution” is more of a harder song of their’s and it doesn’t disappoint if you like rock. Never found the answer in this stupid f*cking song. There’s no time to waste your soul. I had to Google just who Gil Sung Hoon is. I don’t follow any audition programs in Korea, so I didn’t know that he’s from one of them any programs. He’s got an amazing voice that suits ballads very well. He also gets the emotions into the songs rather well. Ballads can be flat and boring if you can’t get the emotion behind them. Sung Hoon’s singing skills and emoting are rather good and I just love his latest single 너를 잃고 나의 시간은 멈춰버렸다 which is very long and I’ve seen it translated as something like “You Left Me Frozen in Time” or something like that. I’ve liked R&B/ballad duo Fly to the Sky for a long time. Oddly enough, I don’t own a single of their albums. I really do need to remedy that sad fact. They are back after a very long hiatus with their tenth album. Their comeback song showcases the awesome vocals of Brian and Hwanhee. It’s nice to have them together again now that Hwanhee is done with his mandatory military service. I do like how a lot of their MVs have stories. Even Brian’s solo MVs tell stories. It’s nice. I really do love their comeback song “You You You” [너를 너를 너를]. Here is hoping that we don’t have to wait several more years for more from this awesome duo! This brings us back to Standing Egg! LOL. The next song of theirs I just love is “Blue Sky”. I have an affinity for the sky. 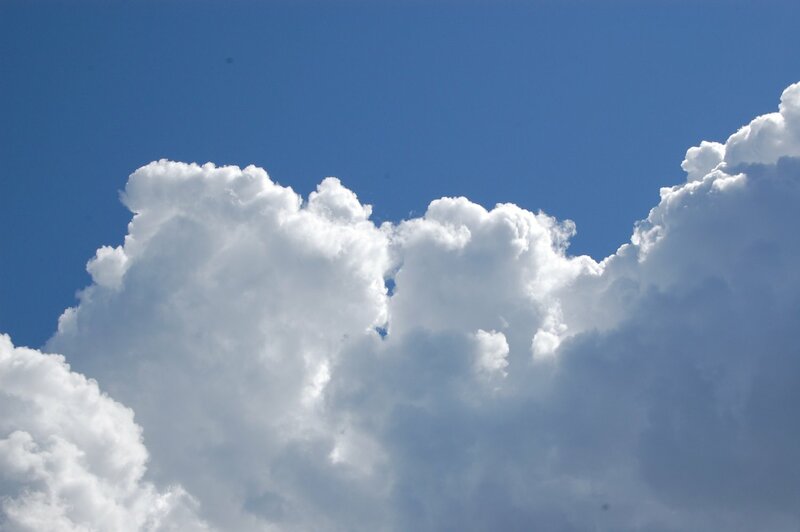 I have an entire blog basically dedicated to sky pictures, not that I update it much any more. Not enough hours in the day some days. But this song just radiates a warm and relaxing feeling as if you’re standing under that blue sky enjoying a refreshing breeze. A good picnic song, I imagine. After the mellow “Blue Sky” comes Japanese band NOA’s “sandglass“…I can’t find anything on this Japanese band, seriously. Do a search for NOA and you get a Japanese female artist and not this more punk/alternative band. This song is completely in English. It’s not good English either. If you put everything they say together, it doesn’t make a whole lot of sense, but I am completely drawn to this song, bad English and all for some inexplicable reason. Probably because it harkens back to my teenage years and the music I fell in love with after my pop boy group faze (N’Sync, Backstreet Boys, etc.) like Simple Plan, Blink 182, etc. But…Country music is still my heart and soul and something I listen to every day. I can’t remember now if USAGI just debuted earlier this year or at the end of last year. It doesn’t matter. They are an awesome duo and I just love them! I kind of think of Yuzu even though both duos have different sounds as Yuzu has a very strong guitar sound. USAGI’s [Usagi may sound familiar, it’s the Japanese word for bunny and the name of the leading character in Sailor Moon] latest song USAGI～不昧なストーリー～ is another strong release for this new group and is their second single. Check them out and keep an eye on them since they are totally awesome! Japanese band girugamesh aren’t the only ones coming out with a Best album. 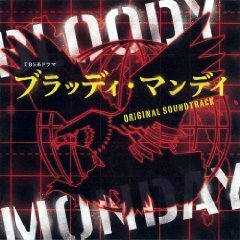 flumpool who I can never think of without thinking of the OST for both seasons of Japanese drama BLOODY MONDAY released their own. Thus the songs I am featuring of theirs are not new releases, but older ones from their best album. I will forever love flumpool and all of their songs, so it doesn’t matter to me if these aren’t brand new songs. Check them out and go out and buy their Best album as I don’t think you’ll regret it! First up is their song 明日への賛歌 followed by ビリーバーズ・ハイ. They are two very different songs that show flumpool’s diversity. WEAVER and flumpool are both ASketch artists. I love most of Asketch’s artists. I’ve really been in love with hip hop group Phantom since their official debut with “Burning” … Sanchez’s voice is just lovely and the rapping is skillful and flows well with the vocals. “Lonely Seoul” [오늘따라] features Gain and her voice really complements Sanchez’s well. This song is just lovely and I like how Phantom has shown a variety in their songs. I’m happy they are back again and we can hear more awesome music from them. Also making a comeback is Wheesung. Now, I don’t necessarily like every song of his, but I am really attracted to his somewhat different voice and most of his songs I really do love. I missed him when he went into the military and am happy to see him finally releasing new songs of his own. “Night and Day” really showcases Wheesung’s strong vocals. While I am NOT enamored with the adlibs that are featured at the end of the song, overall it’s a really strong comeback that makes me happy. Everything I say, I say it from my heart. Waah. We’re almost 20 songs in and we finally get to the first Thai song featured this month. I haven’t been listening to as many as I usually do. I had not heard of Ice Sarunyu before to my knowledge, but he’s an artist I’ll be keeping an…er…ear peeled out for. There’s something highly addictive about the song “Miss You” and the MV is a hoot. Following is the beautiful acoustic song “Dreamer” by Standing Egg. This song really could lull you to sleep, it’s so peaceful and beautiful, that doesn’t mean it’s boring in any way as it’s not. Then we have the bright spring song 그래 너 also by Standing Egg. I tend to not like title songs as much as other songs on albums for some reason. Still, it’s a bright song with a very cheesy and cute MV. 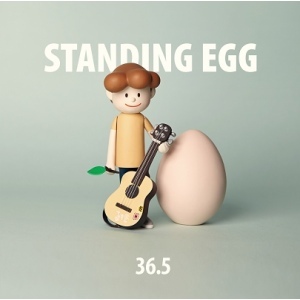 And the final Standing Egg song was released as a single earlier this year or at the very end of last year, I don’t remember which. “Confession” [고백] is another awesome song by this awesome and talented group. Awesome Taiwanese band Mayday have released their official first Japanese single. I think the song they performed with flumpool was in Japanese, but this is their first non-collaborative single and also serves for the theme song for Sato Takeru’s detective drama Bitter Blood or Partners by Blood or whatever it’s called. The song is “Do You Ever Shine” – a nice rock song. Seeing clips of Sato along with the band in the MV is a plus. Do you ever shine, do you ever shine to live or die? Ah, the return of EXO which I’m sure all EXO fans regard very bitterly as their comeback was tainted by Kris’s pulling out of EXO and slamming SM with a lawsuit. “Overdose” has some electronic and rock strains and is kind of addictive. Their songs always grow on me even if I shy away from them at first (probably just because this group is so hyped up…even if they have the talent to back it up, I didn’t bother with popular books and the like until much later. Just the way I am). I always enjoy both the Korean and Mandarin versions. Ah…and I’m currently enjoying little Changyeol in Roommates where he always ends all of his commentary with how such and such an experience helps him mature. He’s cute (in a very little brotherly way). Excellent ballad singers M to M are back as a duo now called J2M. I have always loved their music, but alas, even after 10 years in the music industry, they were never really as well known as ex-member Kim Jin Ho who left to join SG Wannabe. I’m happy they are back and still doing music and their song “With A Heavy Heart” [발이 무겁습니다] is such an expressive and explosive ballad that hits you like a ton of bricks. May they enjoy some popularity at long last. Chen Yanyun, aka Ian Chen, is releasing a solo album after participating in the Imperative 2 collaboration with Andrew Tan, Bi, and Dino. Ian has a great voice and contributes the theme song for Puff’s drama Love Myself or You aka Pleasantly Surprised, “Little Princess” [小人物大公主]. It’s a standalone MV without drama scenes in it, but it’s cute. Ian is doing a good job. And after that fun song and MV comes the beautiful and awesome ballad “Wolf and Sheep” [狼與羊]. I wonder if this means we’ll be getting an album release from Dino down the road? Up next is “DNA Says I Love You” [基因決定我愛你] which may be an insert song for the same drama he does the theme for. I’ve only watched one episode, so can’t recognize music from it offhand. My experience with Yoga Lin has been more stripped down songs or ballads, so this song really took me by surprise. Yoga collaborates with band Elephant Gym for this upbeat…funky…rock song. It’s odd. It’s hard sometimes to say if I really like it or not, but I think that I do. It’s quite the dynamic song with the lower verses building into the fast-paced and louder chorus. “Speaking in Tongues” [口的形狀] is definitely a song to check out and if you watch the MV you can see Yoga rocking that guitar. Just like a member left M to M and they became J2M, 4Men is back with less members. This isn’t the first member change and the group, although called 4Men is down to just two. I am loving them as a duo as I loved them as a full ballad group. Their song “Ok” is one that I particularly fell in love with. Seeing all the BTS of the two interacting together is fun and cute and makes you think that they will do just okay even with only two members. And after that ballad, we go next to some idol dance music with Infinite’s comeback song “Last Romeo.” Normally Infinite ranks quite high for me, but for some reason not so much this month. “Last Romeo” is still an awesome song, but I didn’t think it stood out as some of their previous releases have. Thanks to watching the Eat Your Kimchi review, I will never be able to think of their video in the same light, lol. And continuing in the vein of idols, Mr.Mr had a comeback, too. They released a song for their fans first, “It’s You” which is a lovely song. That was followed up with yet another digital only release of “Big Man“, which every time I watch an episode of the drama Big Man, I hear the song “Big Man” playing in my head. Oddly enough, the falsetto is one that I can actually stand. It’s not as annoying as I find falsettos to be. I don’t know what it is. I would like to see Changjae and Doyeon have more lines and not just offer chorus support and harmony more or less. If you’d like to see some of Mr.Mr’s fun personalities, you can check out their Secret Box video for “Big Man”. Mr.Mr is definitely showing diverse qualities. They look forward to releasing a full album one day with a song in each genre that each member loves. Wouldn’t you know the five members actually don’t like the same genres? We get a brief break from idol music with two songs by Park Sihwan. His songs kept moving up and down and up and down. It took awhile, but I think I’ve finally decided to leave him a bit further down the list. His songs are excellent and his one MV is really kind of cool. The first song “I Jut Loved You” [다만 그대를] has a nifty video of sorts and boy can Park Sihwan really belt out the notes in this song. Impressive. Next up is the song “Helpless” [할 수 있는 건 없다] from Park Sihwan’s first mini album Spring Awakening. This is soft and beautiful ballad. He can definitely change it up, can’t he? Next up is Peck Palitchoke. He has also got a nice voice. His song เธอคือความรักหรือเปล่า is from Thai drama Kularb Son Klin which I have no idea what it’s about. The drama looks kind of interesting from the clips and has something to do with chefs..or aspiring chefs or something like that. The song is a medium tempo one. It gets off to a slower start, but picks up. It is a good song. After that song is AAA vocalist Urata Naoya’s “to you” which is a lovely ballad, just a beautiful and heartfelt song. Continuing to another Japanese song, we have DIV’s 漂流彼女. Can you believe they are only celebrating their second anniversary? Doesn’t seem like they’ve only been around for two years. The song, I think, is a bit of a new direction for DIV. It’s not bad. The MV…is just a bit weird. After some Thai and Japanese music, we go back to Korean idol territory with Block B’s fun song with a very interesting and amusing MV, “Jackpot“. I won’t lie. I haven’t liked all of Block B’s songs, but I really do love their latest releases. Then after that fun song is a change of pace with a beautiful ballad by Chie, “Promise” [約束]. She does have a pretty voice and some great music. Keeping in the theme of ballads, next up is Park Seo Joon’s contribution to the OST for his drama A Witch’s Romance. These “character” songs really do express the emotions well as the actors carry the emotions over from their acting to the song. Reminds me of what JYP says that to be a good singer, you need to be a good actor (that isn’t true because let’s face it, there are tons of singers who can emote in a song and can’t act their way out of a wet paper bag in a movie or drama). The song “Come Inside” [내 안에 들어와] is a beautiful and heartfelt ballad and reminds me that I really need to finish watching this drama. Another beautiful song is Bily Acoustie’s “Someday” [그 언젠가는]. In this song, I really love the parts where he sings 알라서 [arraseo]. It’s just something about the way that one word is sung in context with the whole song. Next is the song “What if We Were” [만약에 우리] which almost has a jazz feel to me, but don’t quote me on that because I am not the best in singling out genres. We go from stripped down acoustic music to some hip hop with YG’s collaboration with Yue Hua. It’s a great combo of Epik High and BibiZhou [who, I actually thought was a guy singing…whoops…but the voice isn’t one that you can say is definitely masculine or feminine when you listen to it]. This marks Epik High’s first step into the Chinese market. Hopefully they will do well. The song “Without You” is actually a remake of an older song where Bumkey did the vocals. I really like the song with BibiZhou, but you should definitely check out the original as well. Where you go, I follow. My life is a shadow. I just wanna be close to you. Even though I’m right behind you, you never turn my way. It breaks my heart but it’s okay. I’m here close to you. But I know I will never be with you, with you, with you. Now after all those slow songs and that sorrowful hip hop, it’s time for an energetic dance song by Bridget, a Japanese group which apparently consists of 3 singers and 4 dancers. It’s interesting that there are groups that employ dancers that don’t also sing as main members. Bridget’s “Diver’s High” is a bright and fun and addictive song that makes you want to bop your head along or start dancing. A feel good follow up and another dance song with some rapping is White Jam’s 夏なんて. It definitely brightens the mood and is a good pick-me-up. I fell in love with Zatmaruami not too long ago. There’s just something about this group that draws me in and “If I Were to be Born Again, I Would Not Know Me” [세상에 다시 태어나도 나는 나를 모른다] is no exception to this. After the exciting dance music, you cool down with a rock enfused song before going into the totally stripped and soft guitar song “Until You Say It” [기다리기로 했어] by Kwak Pureunhaneul. The song is very monotone, but is not boring. It has more of a haunting quality to it that makes it attractive the more you listen to it. Picking up the tone a bit more, but still a ballad, is Sentimental Robot with 너를 만나러 가다. This song reminds me of another song, but I can’t quite put my finger on just which one. I think it’s the stress of the phrase about leaving throughout the song. Speaking of another good collaboration, there is Adrian’s duet with Freya. I discovered Adrian thanks to his contributions to the OST of In A Good Way. He has a great voice and it matches well with Freya’s in the song “Tào bù zhù” [套不住] which is a beautiful and expressive ballad duet. Best Partner is a Japanese duo, so they fit nicely in with the previous song. It’s also a ballad, but more guitar heavy than piano heavy like the previous one. These two do have a very good harmony with one another. I just love their song from their 2013 album. The song is “Kage Okuri” [かげおくり]. I really like the repetition of “mou ichido” (one more time, essentially). For some reason, when I listen to the song “Way Back Home” [집에 오는 길] by Today’s Radio, I picture a rainy highway with a lone car making it’s way. It’s a very soft and sentimental song. From a sentimental journey home we go to the beautiful acoustic sound of Neighbro and their song “Let’s Hang Out Today” [오늘만 놀아요]. I was a bit on the fence about this song, but decided that I really did like it enough to feature it. Neighbro really does have great teamwork and beautiful voices. The young Shin Ji Hoon releases a song for the OST of an animated movie. “Happy Ending” [해피엔딩] is a very sweet song and suits the scenes from this move well. I kind of want to watch it now. I like the part in the chorus where she sings 얘기처럼 [yaegi cheoreom]. After his successful collaboration, Junggigo is back with a solo song. “Want U” [너를 원해] is a nice funky song and it really does seem to suit him. I’m looking forward to hearing more music by him in the future. The awesome duo 10CM participated in MINTPAPER’s 3rd project album LIFE with the song 오늘밤은 어둠이 무서워요. Fairly typical song by them, it’s acoustic goodness at it’s best! Continuing in the same vein of acoustic, indie goodness we have Delispice with their song 팔찌를 자르며 which has a bit of country to it…kind of like it also has an older feeling to it…like a certain Eagles song. It’s a great song. From good indie we go to Jpop and Super Express with their song “Believe x Believe” – oh, the MV for this song, lol. I almost didn’t include it, but decided to since the video makes me crack up every time I watch it. I’m not watching kdrama Triangle as the plot just didn’t sound interesting and the trailers didn’t look interesting. That being said, I love Ailee’s contribution to the drama’s OST with “Day by Day” [하루하루]. Another great OSt song is Parn Thanaporn’s song for Thai drama Dong Dok Ngio ต่างคนต่างแพ้. She has a beautiful voice and it’ a lovely ballad. The drama looks completely crazy and not something I’d want to watch, but beautiful music. Another great OST song is Alien Huang’s contribution to the Love Store at the Corner OST, 有感情歌. Alien does have a great voice. Breaking away from OSTs we have JJCC’s debut song “At First” [첨엔 다 그래] – a song where I love the chorus more so than the verses, but it’s still a good debut from Jackie Chan’s kpop idols. I really love Eddy’s voice. You should also check out their official YouTube channel for their silly videos, like their Street Fight series. To go with the debut of a new idol group, we have the…15th anniversary…of one of the original idol groups of kpop – god. “The Lone Duckling” [미운 오리 새끼] is a beautiful song and a subtle and strong comeback from this group. Yoon Jong Shin’s “New You” with 2AM’s Im Seulong is a great song with beautiful vocals. Not enamored with the MV as I really don’t like that actress after watching her in May Queen and her other drama where she stole her cousin’s life. Bad acting. Nothing’s forever. I won’t be the same, oh my baby. エルピスの涙 by Irihi Akane whom seems to have a breathy way of singing at times. The playlist is winding down. After the last two songs, a slightly upbeat song is needed. Thus we have Taekyung’s “Skateboard” – there’s just something about this song. I can’t express it. It’s good though. With the repetition of “skateboard” with the video and the almost musical qualities of the song…it makes for a good song. Another good song is Akmu’s “Give Love.” This brother-sister duo do have some fun and different songs. We then change genres up with Jin Hohyun’s sad song “Love Blinds” [사랑이 멀다]. It stays pretty much the same throughout the song, but doesn’t hit boring territory. I’m more familiar with Kim Yeon Woo’s stint on Cool Kidz where he’s shown off his singing talent which was always better than his sports talent. His song “Antidote” [해독제] is amazing! I like it much better than the song he’s promoting. Another ballad comes in the form of Lee Seung Hwan’s “Grademark” [화양연화]. At times a little tiresome, but still a great song. M.pire has made a comeback. I do like this group, especially Jerry (thanks to his participation on Dream Team). Their song 그런 애 아냐 is keeping in vein of their previous releases and is a decent song. Does member Red have any lines? I’m curious about that. Japanese band landz. released the full MV for their song ある晴れた午後の戦争. Sometimes I really like this song, sometimes I really don’t. Thus…it is the final song on this list. There are parts I really like in this song and parts that I’m not very overwhelmed by.